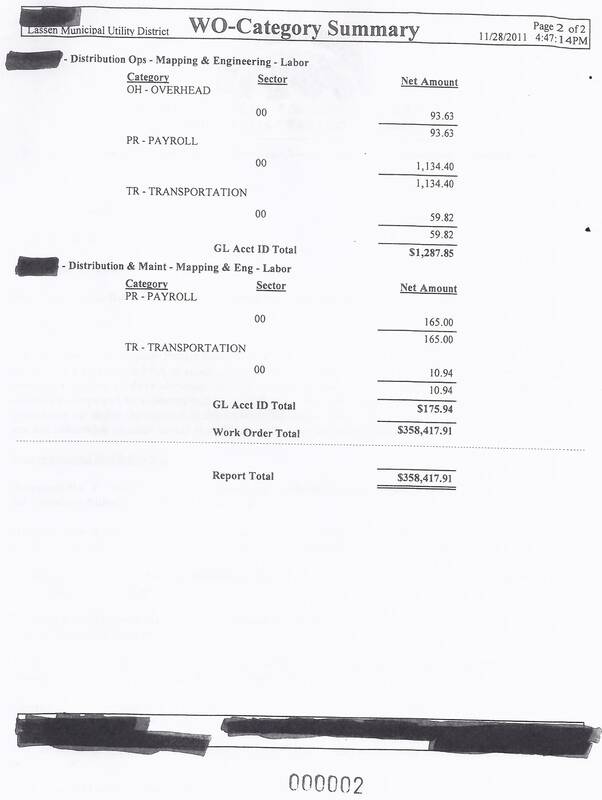 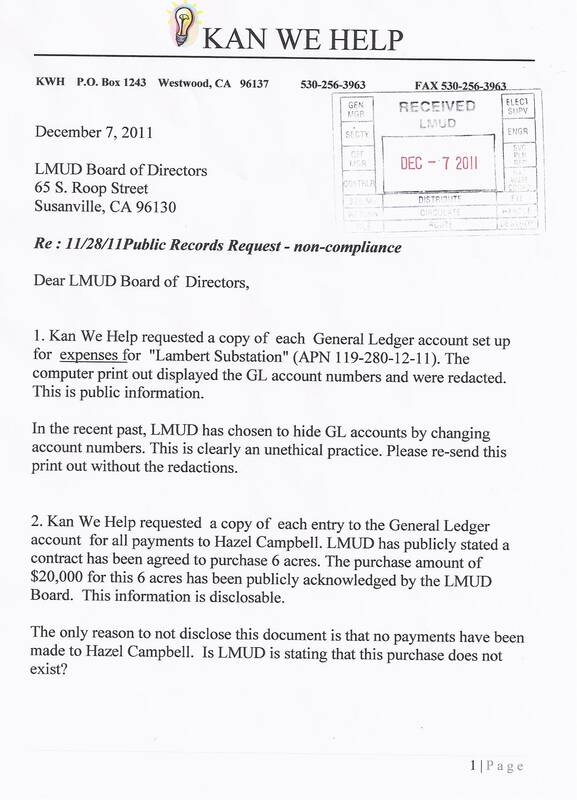 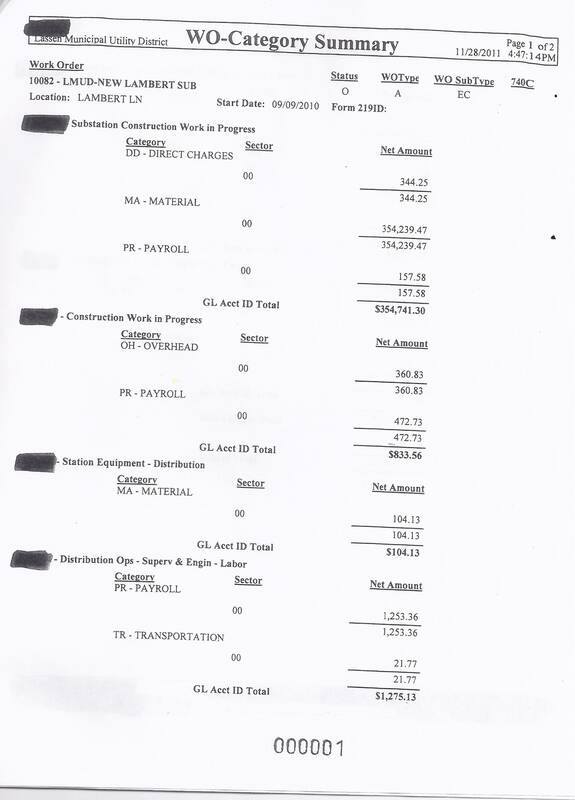 LMUD covered up the GL account numbers. 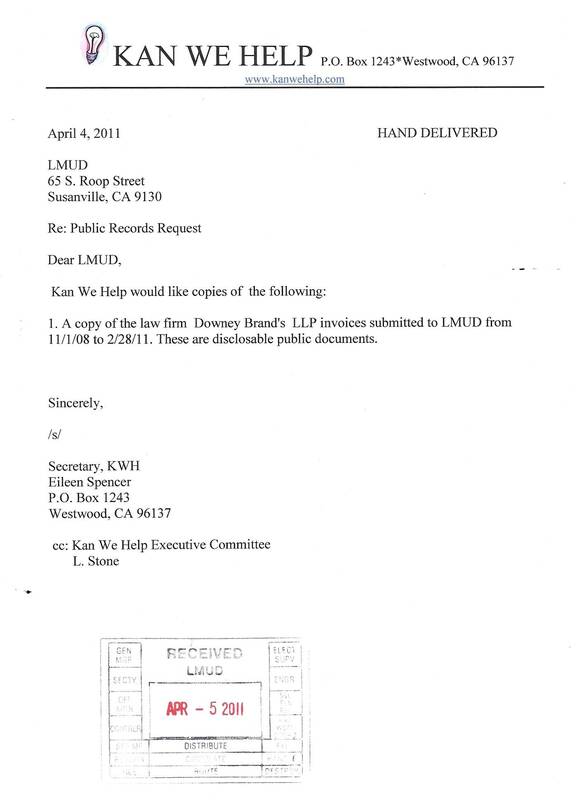 This is disclosable. 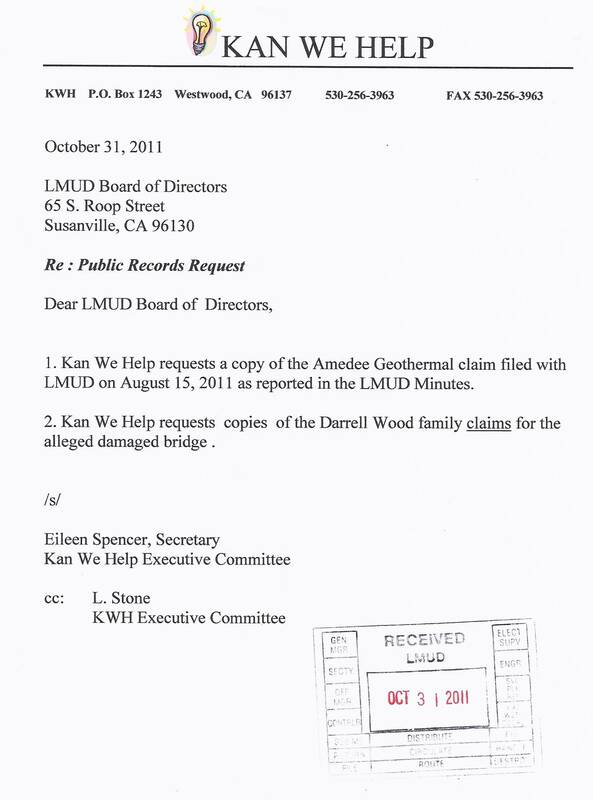 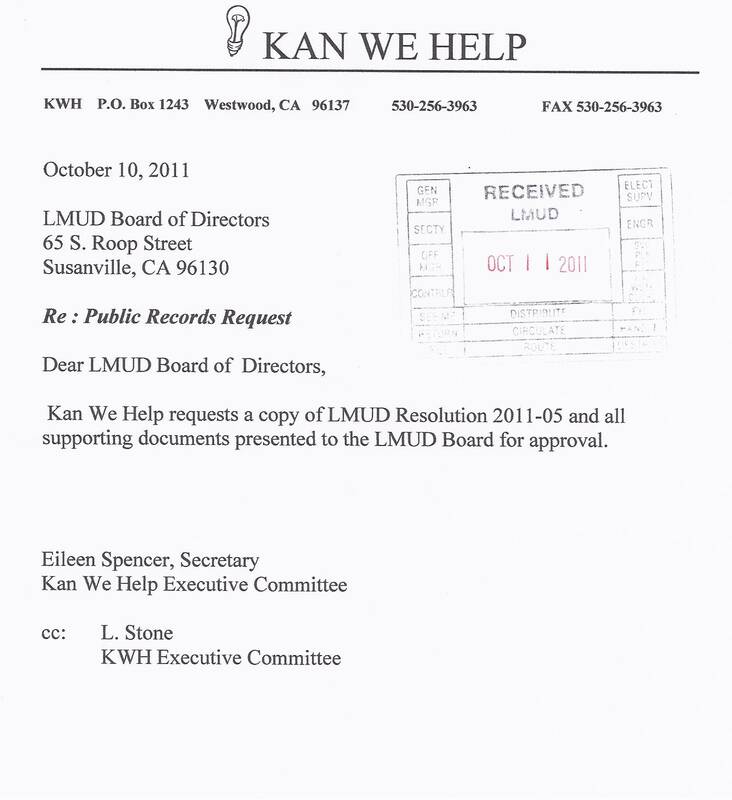 The LMUD Board included Resolution 2011-04 in their August 23, 2011 Agenda. 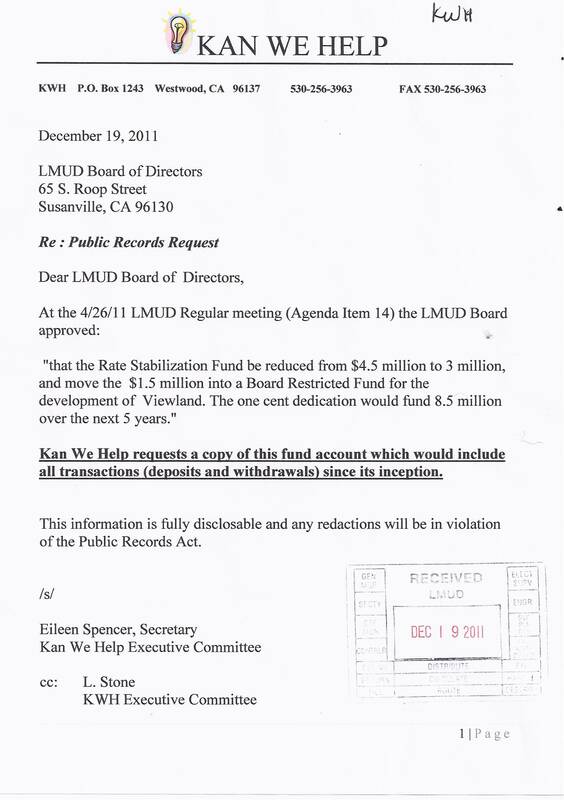 The LMUD Board discussed Resolution 2011-04. 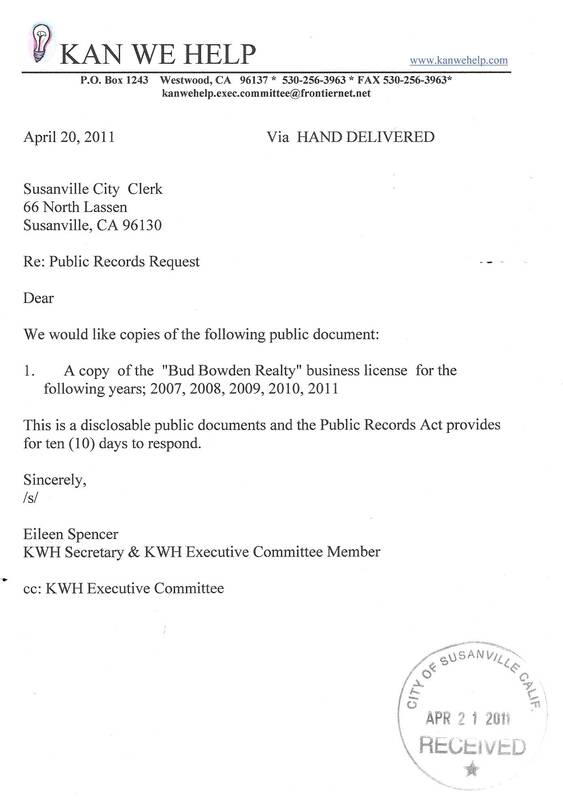 Resolution 2011-05 was however discussed and voted on without being placed on the Agenda. 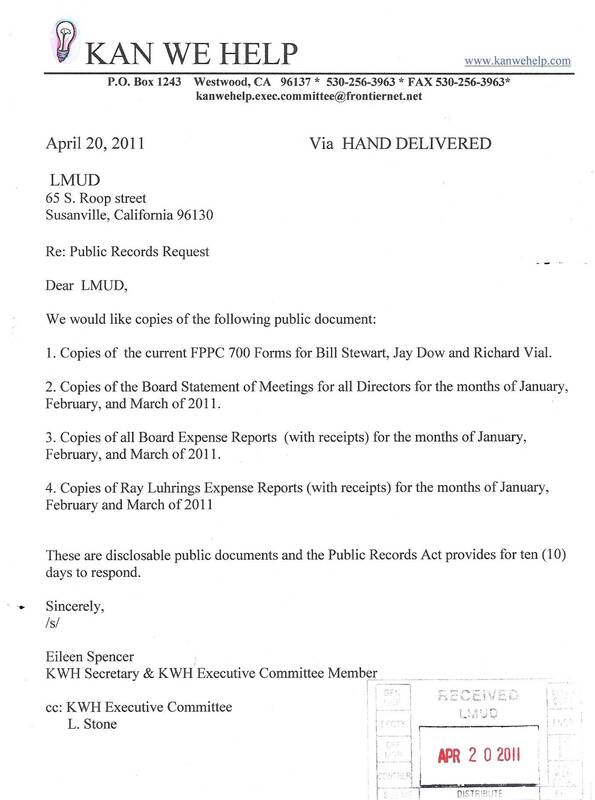 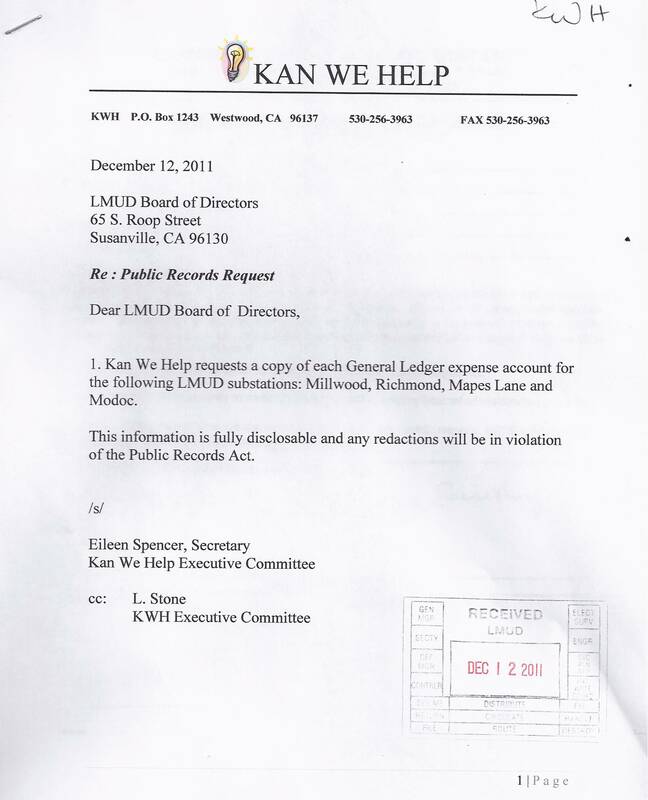 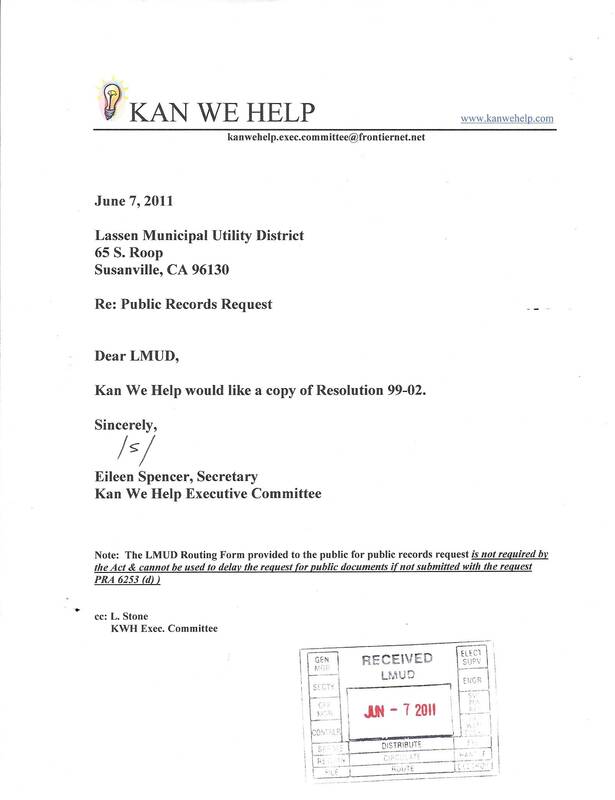 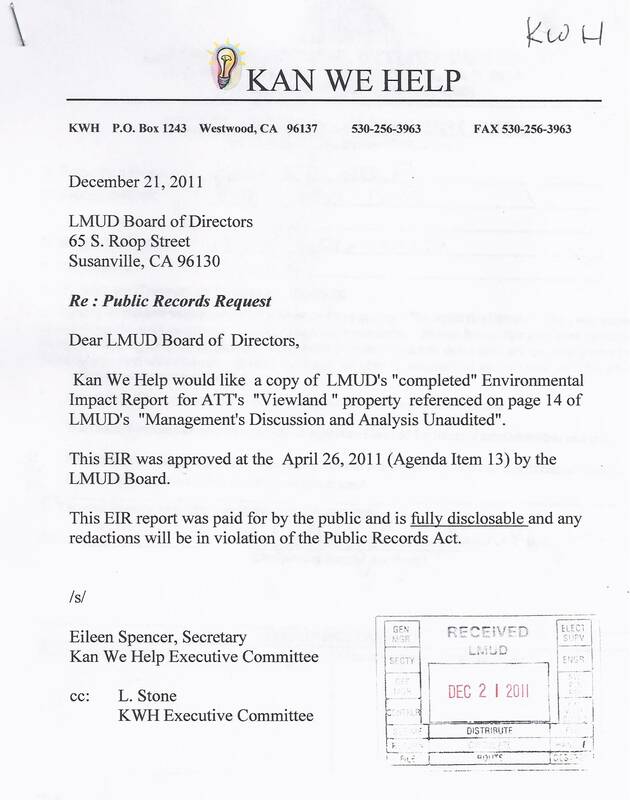 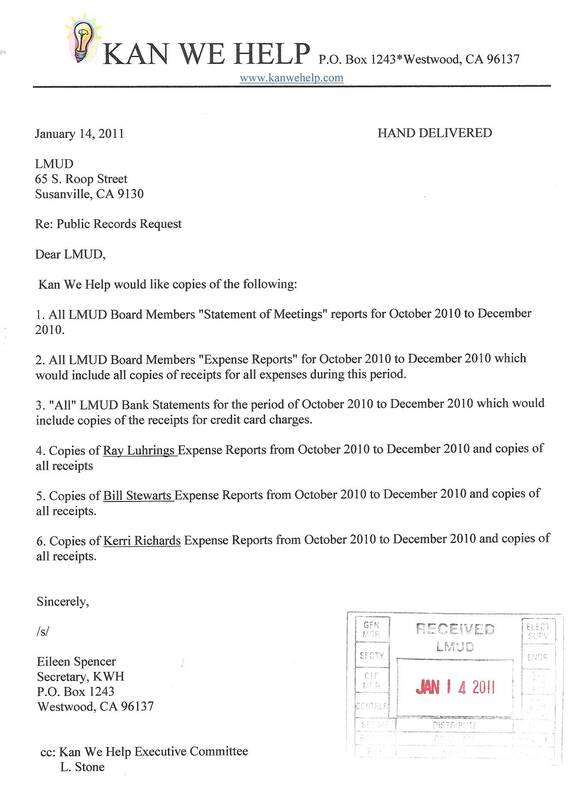 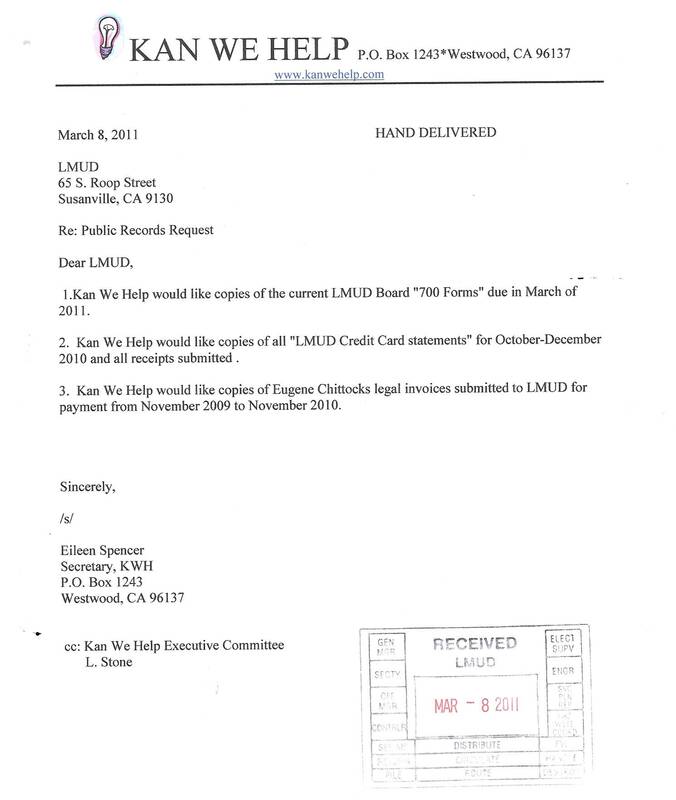 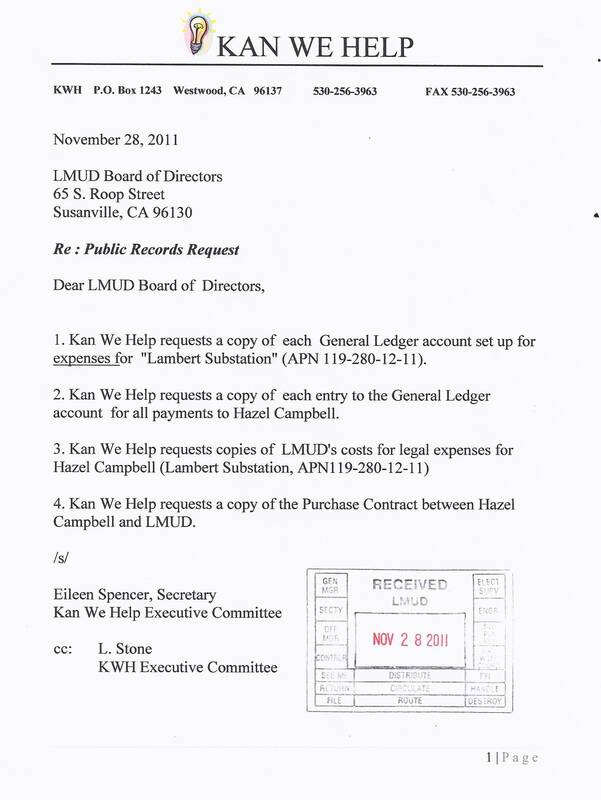 LMUD held a Special Meeting on 4/5/11 to negotiate and sign Bill Stewarts contract. 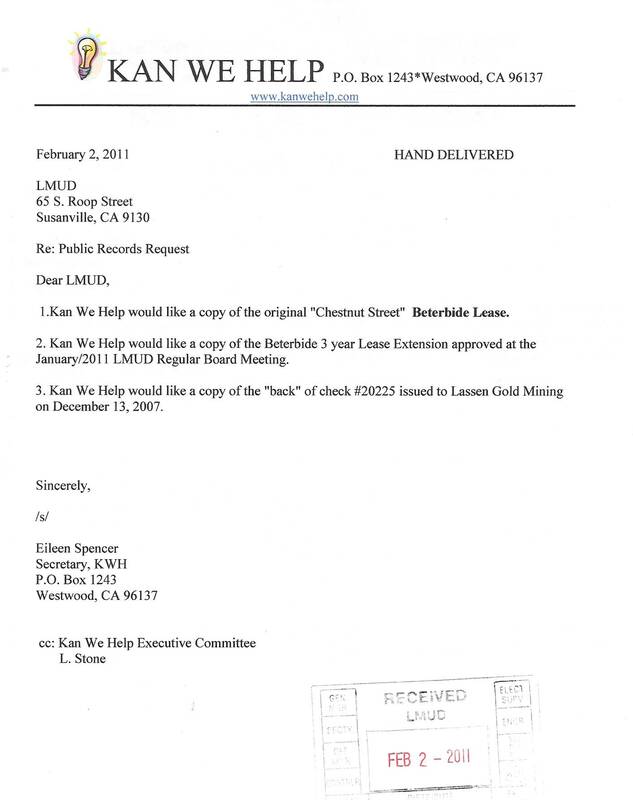 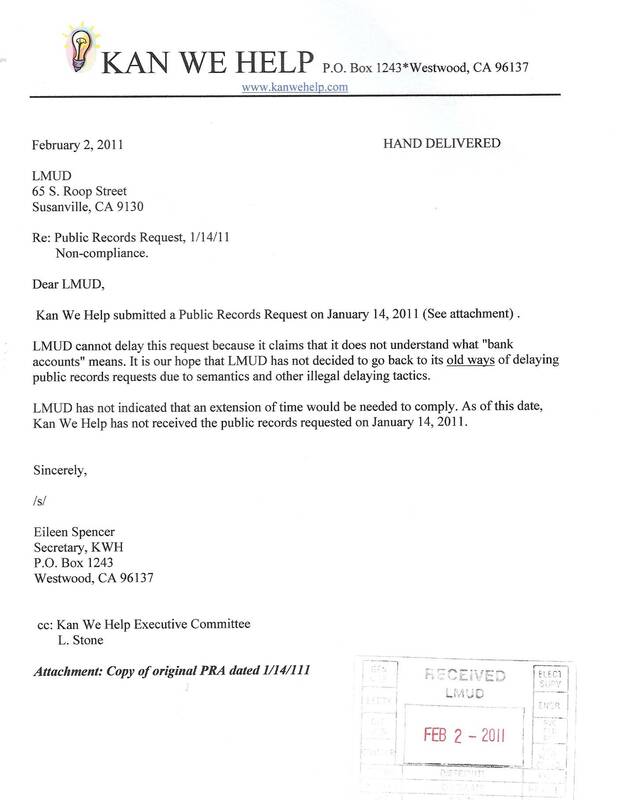 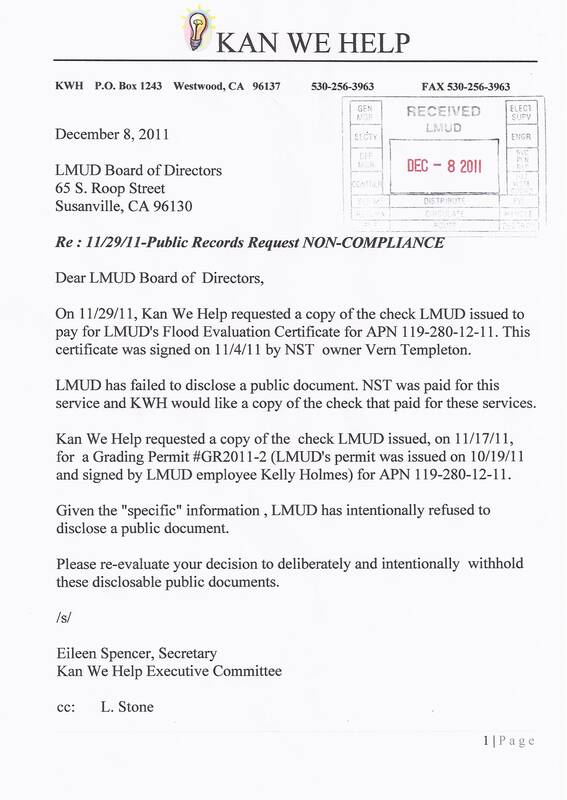 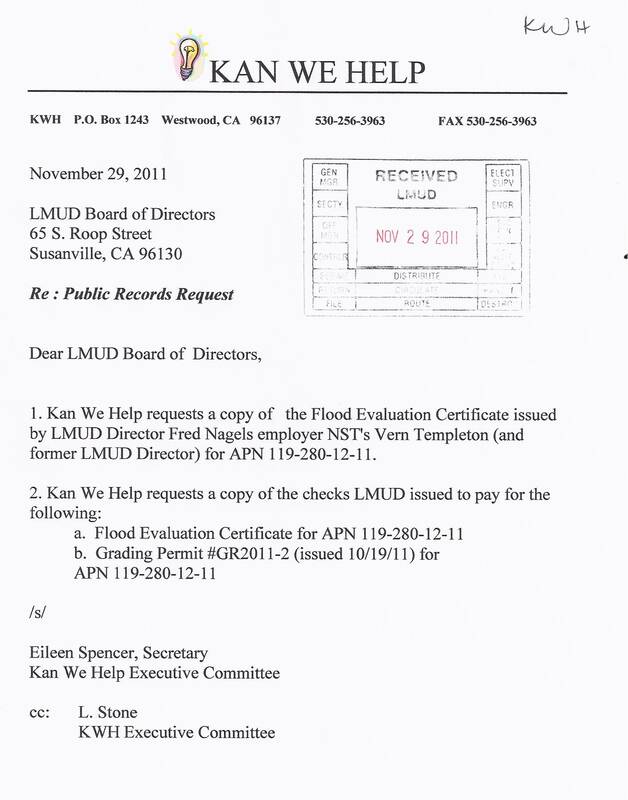 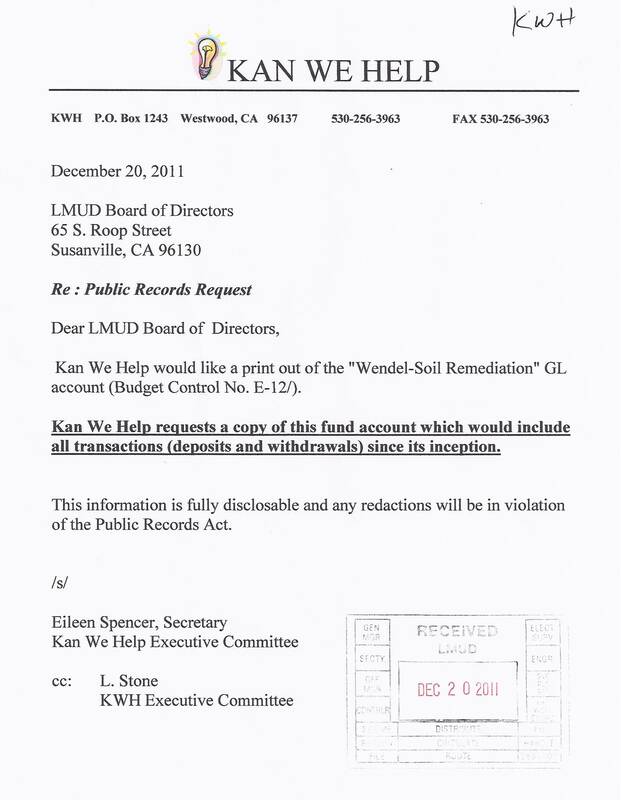 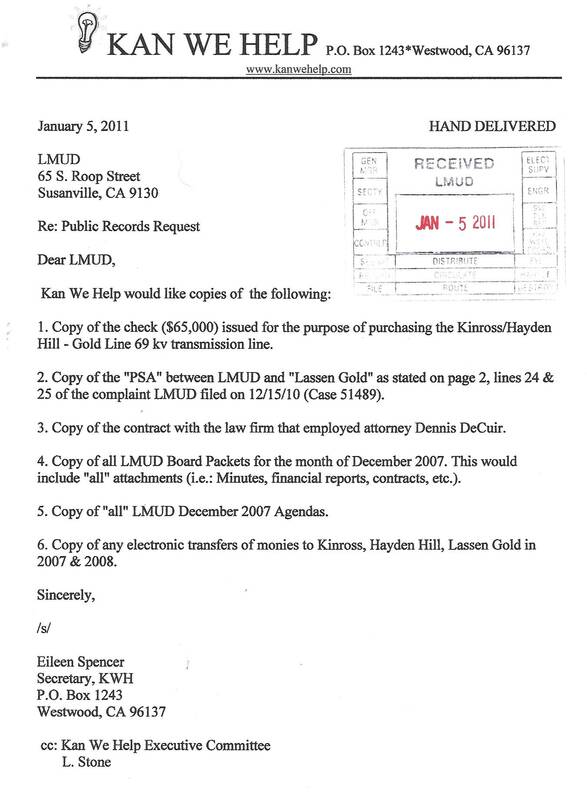 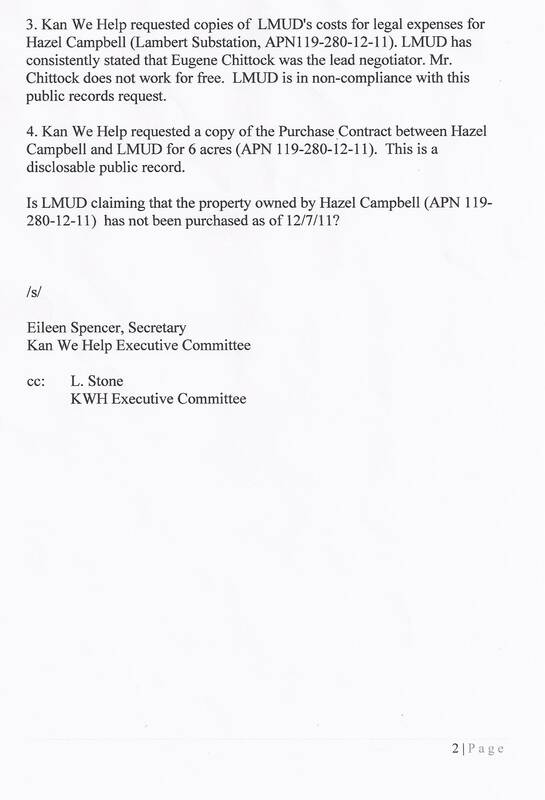 Kan We Help asked for a copy of this agreement signed on 4/5/11 only to find out that it had been revised and signed on 4/11/11. 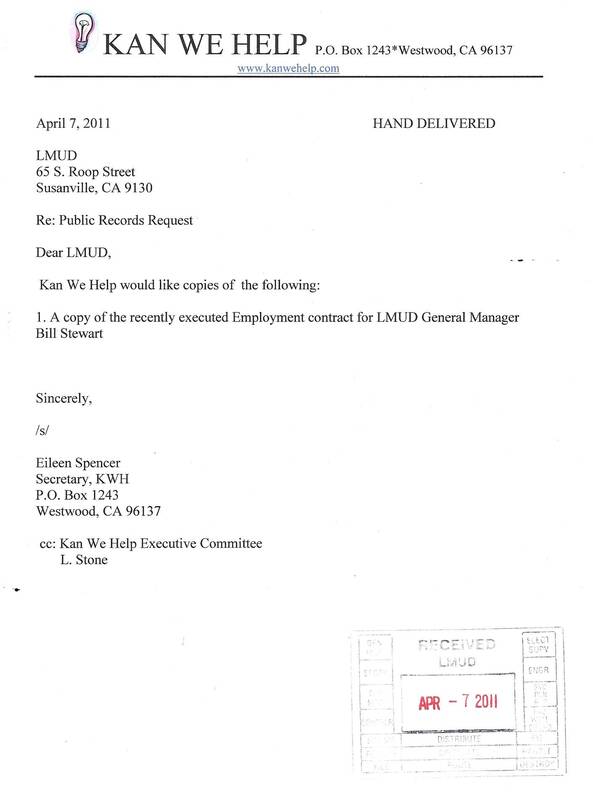 LMUD agendized negotiating a contract in "closed session" to hire a new general manager the day the former GM quit. 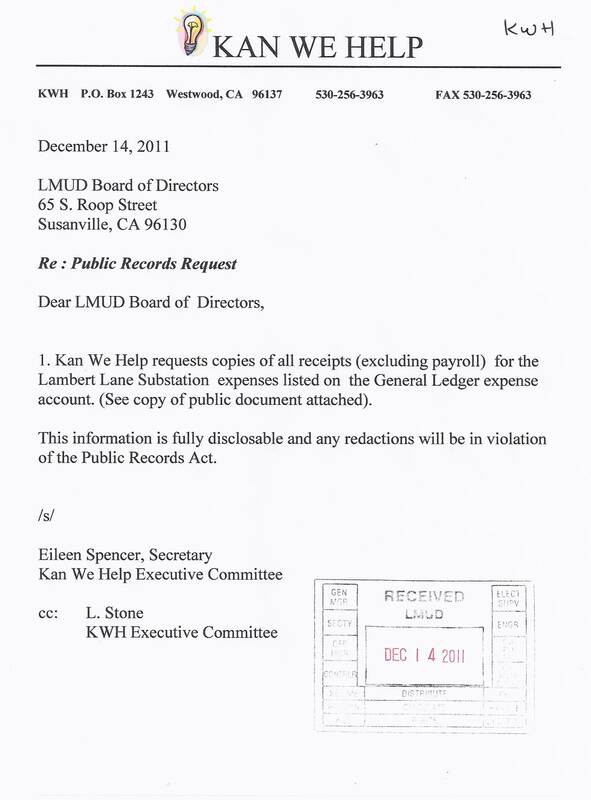 Brown Act prohibits this action. 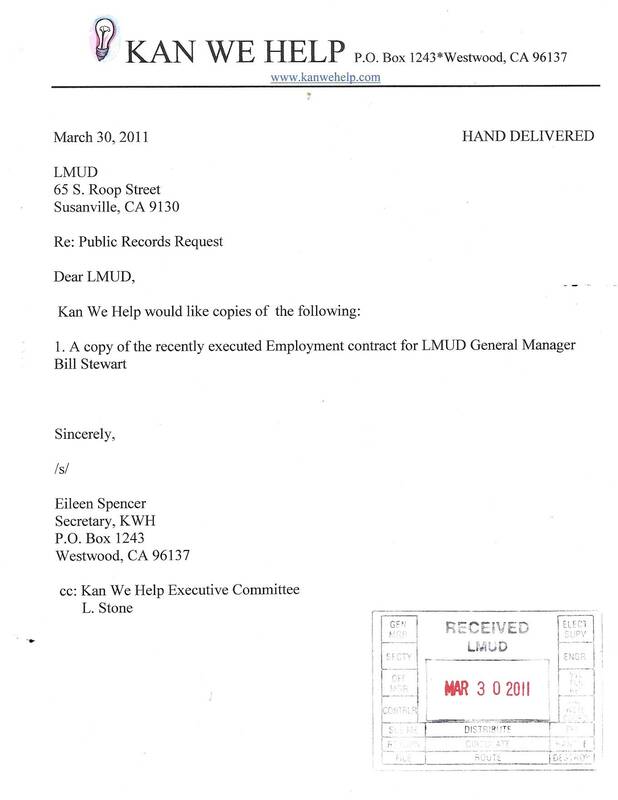 NO CONTRACT WAS SIGNED WITH BILL STEWART ACCORDING TO LMUD.